While streetwear culture currently has the sticker game on lock, what if more artists used them for promotion? 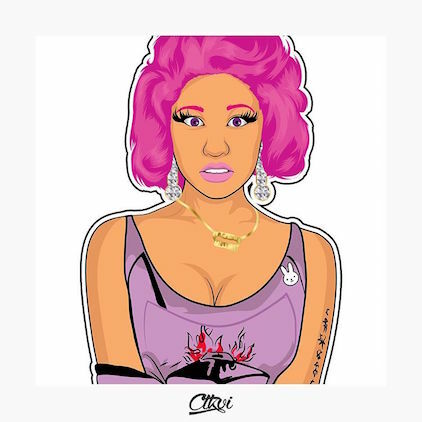 Artists from CTKVI, the media company of Canm King (@cnmkng on Instagram), create vector cutouts of jeweled rappers like Jay Z, Nas, Meek Mill, and Nicki Minaj that transform them into modern cartoons and double as great images for sticker prints. Maybe hip-hop should consider stickering as a street promo technique again? Just a thought. Check out your favorite rappers flashing their jewels below.